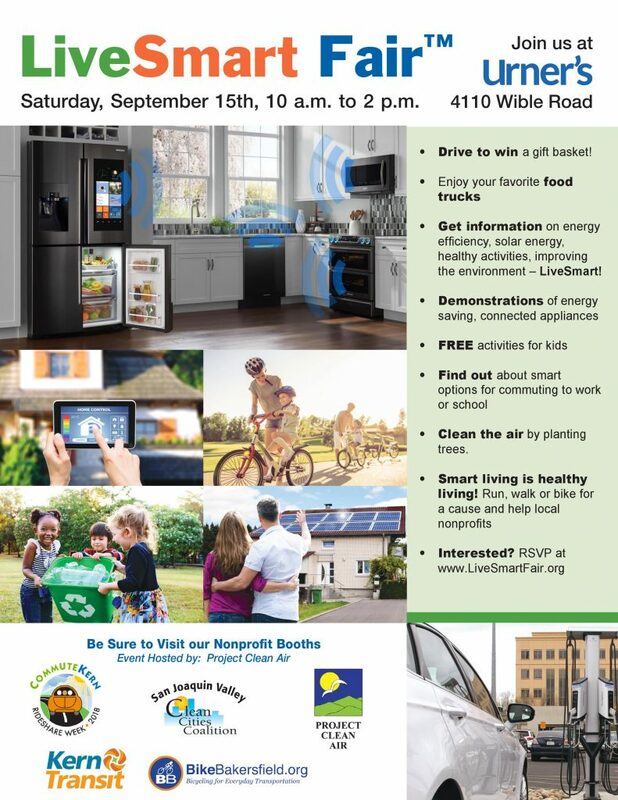 To celebrate National Drive Electric Week, Project Clean Air is hosting the LiveSmart Fair. The event will take place at Urner’s, our exclusive home furnishings and appliance sponsor. Test Drive for Tacos – drive an EV and receive two tacos at the Curbside Kitchen on us! We will also have free refreshments from Frito-Lay, Grimmway Farms and Coca-Cola! You can also get a cool treat from our other vendors: Kona Ice and Maui Wowi. We invite EV owners to the become part of the EV Perks Zone. This area is hosted by our partner, EVPerks.com, and is reserved just for EV owners. 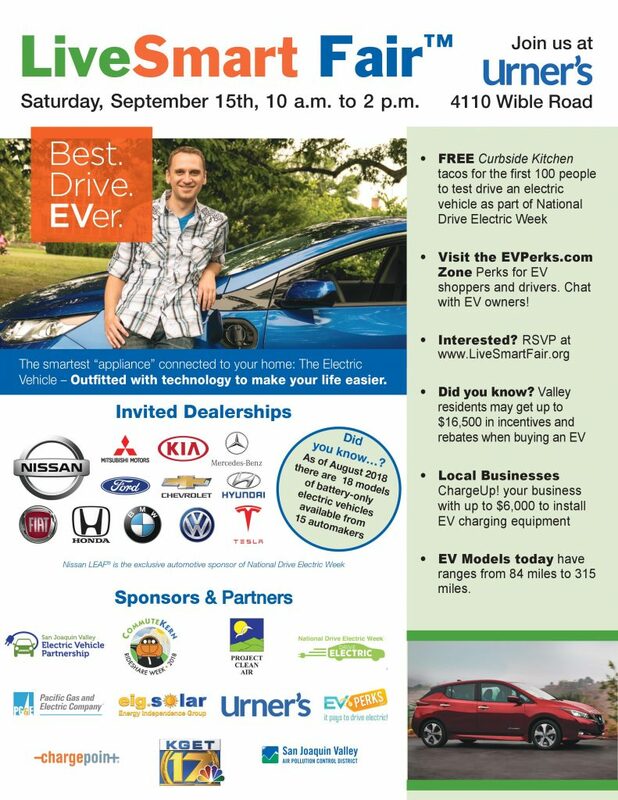 Come meet & mingle with other EV enthusiasts! If interested in participating, please call Ollie Danner at 661-565-7427. Interested in having a booth or becoming a sponsor? Please fill out the 2018 EVent Sponsorship and Booth Participation Form and send it to Courtney Velasco at projectcleanairoffice@gmail.com. Checks should be made out to Project Clean Air and mailed to our office. To pay using a credit card, please use the PayPal button below.